KWLS is home to a variety of insects. 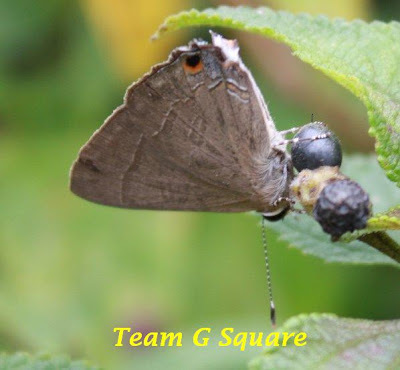 It is an ideal environment since insects thrive under moist conditions and the flora here is in abundance. 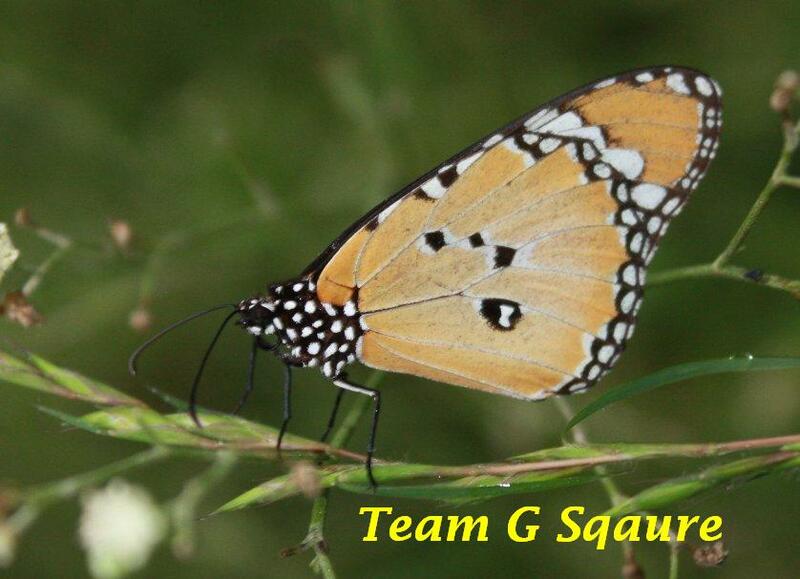 Among the insect groups, moths and butterflies come under a large group called Lepidoptera ( scaly wing). 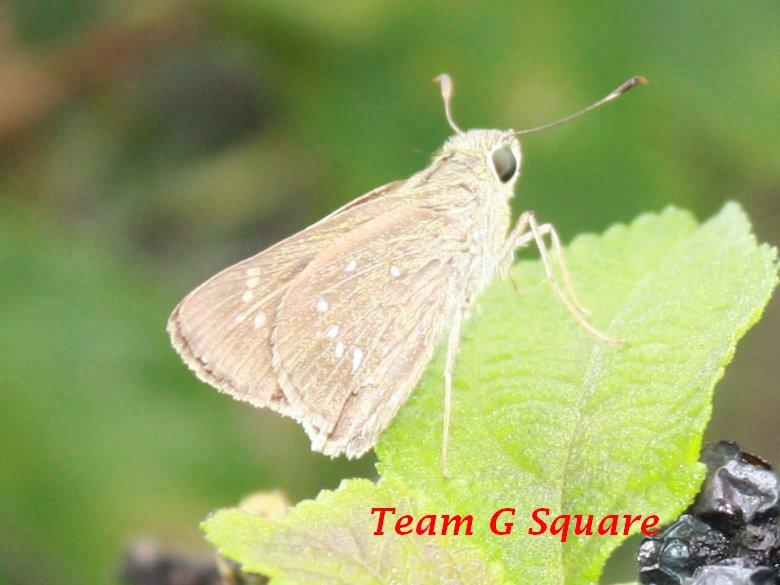 Though moths and butterflies are similar, they differ externally. The antennae of butterflies are slender with clubbed tip while those of a moth can range from feathery or hairlike to even club shaped. India is home to about 1500 species of butterflies. Butterflies can vary in shape , color and size. Presently, butterflies are classified into two super-families, of which hesperioidea has all the skippers, while papilionoidea includes the rest, the true butterflies. Hesperioidea (Skippers) : The rapid bounding flight of these butterflies has given them their name . These are intermediate for true butterflies and true moths . Skippers of two types -one type hold their wings open flat when settled and others usually alight with their wings completely closed. This consist of a single family of Hesperiidae . Papilionoidea: This consist of 4 families , Papilionidea, Pieridae, Nymphalidae and Lycaenidae. Papilionidea(Swallow tails): Truly the most spectacular group of Butterflies. This group not only has the largest butterfly, the southern birdwing, but also handsome species, the Paris peacock. Most among this group have tailed hind wings, hence the popular name Swallow tails . Pieridae(White and Yellows): These are commonly called white and yellows because of their wing are mainly white or yellow . The undersides of the wings of some these butterflies have cryptic marking, with only tip or apex of the fore wing visible . Lycaenidae(Blues): The largest family of butterflies, having some of the prettiest and smallest butterflies. 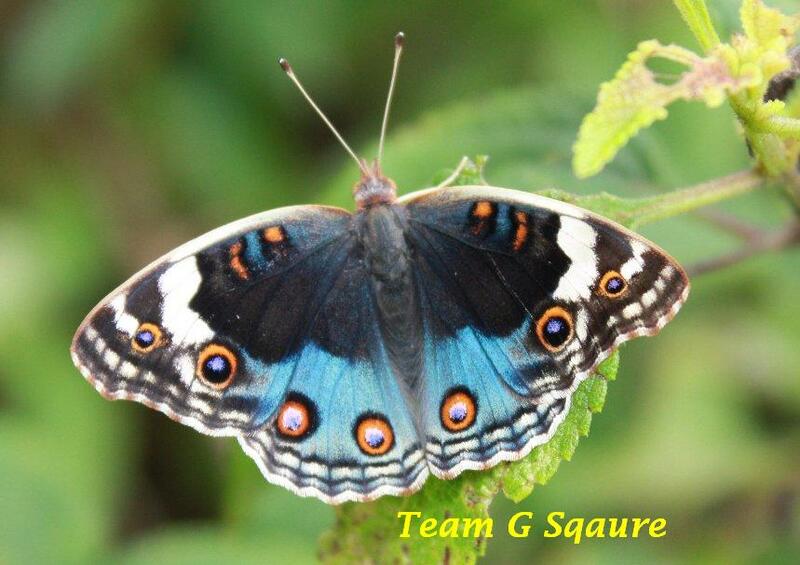 A majority of these butterflies have blue upper sides, though there are species with other colors too . A good lot of them have thread like tails at their hind wings ranging from small tufts to long fluffy hairs . Nymphalidae (Brush footed Butterflies): The first pair of legs is much reduced in size. These legs are covered with long hairs, appear like brushes . Being so small , the fore legs are useless and Nymphalids use only four legs to perch and to walk . 2 Lime butterfly : Papilio demoleus . 3 Common gull: Cepora nerissa . 4 Common Jezebel: Delias eucharis . 5 Stale flash blue butterfly : Rapala manea . 6 Blue pansy butterfly : Jumonia orithiya . 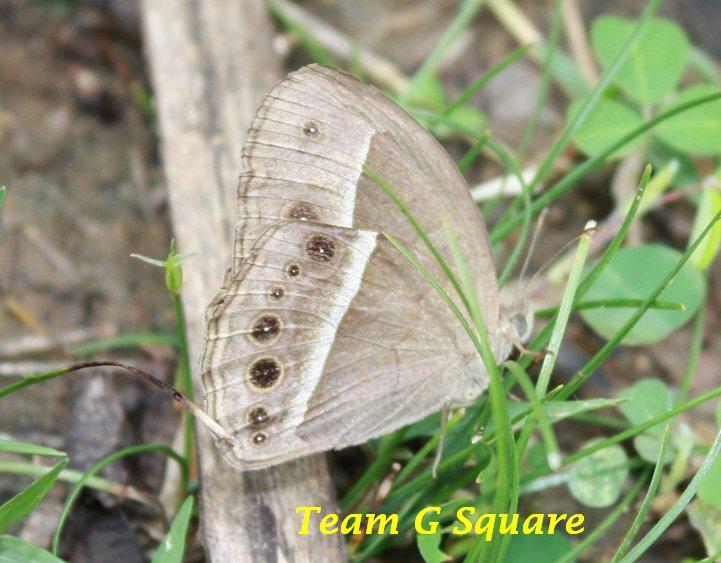 7 Common bush brown : Mycalesis perseus . 8.Common evening brown : Melanitis leda . 9.Danaid egg fly : Hypolimnas misippus . 10. Long brand bush brown : Mycalesis visala . 11. Small long brand bush brown : Mycalesis igilia . 12.Plain tiger : Danaus chrysippus. All these were photographed at Kaundinya Wildlife Sanctuary . 1. The book of Indian Butterflies ,written by Issac Kehimkar and Published by Bombay Natural History Society . Kaundinya Wildlife Sanctuary (KWLS), is a lesser known sanctuary in Andhra Pradesh . 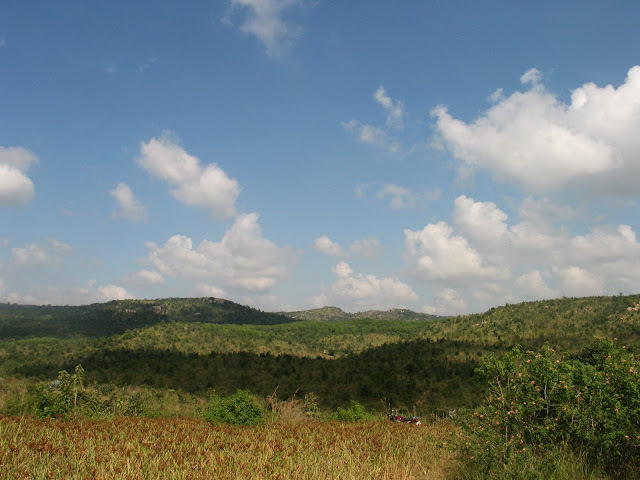 This wildlife sanctuary comes under the D.F.O of Kuppam, Chittor District. We had to seek permission from the D.F.O to enter the sanctuary. He was more than kind for having given us the permission and accommodation. We reached Kuppam forest office on Saturday night around 9:00pm. Our accommodation was arranged in the forest guest house which had all the facilities. Next morning, we met the D.F.O who turned out to be a very simple man with great knowledge of nature. He shared a lot of his views and the efforts made towards improving the wildlife sanctuary, especially on saving the elephants , since this is the only forest range in Andhra that have elephants . The number of elephants would be around 60. 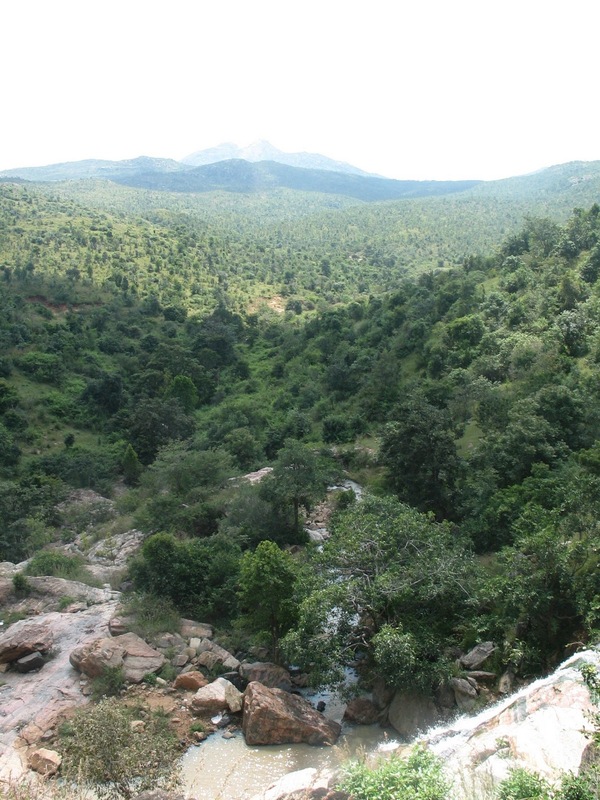 The forest shares its boundary with Karnataka and Tamil Nadu. There are two domesticated elephants here , which have been shifted to Vizag Zoo on temporary basis and will return back. A guide was arranged for us to reach the forest which is about 45 kms from the office. He informed us that the chances of sighting of elephants were few, since at that time the elephants had traveled towards Tamil Nadu. We were not really disappointed on hearing this because forests also have other animals, insects, birds, mushrooms, greenery which are found in plenty. At the entrance of the Sanctuary, there is an education center which has a lot of information about elephants and the flora and fauna of the forests, which is worth a visit. Directions from Bangalore: Bangalore - NH 4 - Kolar - Bangarapet - K.G.F - Kuppam. It is advisable to reach Kuppam and then visit the Sanctuary . 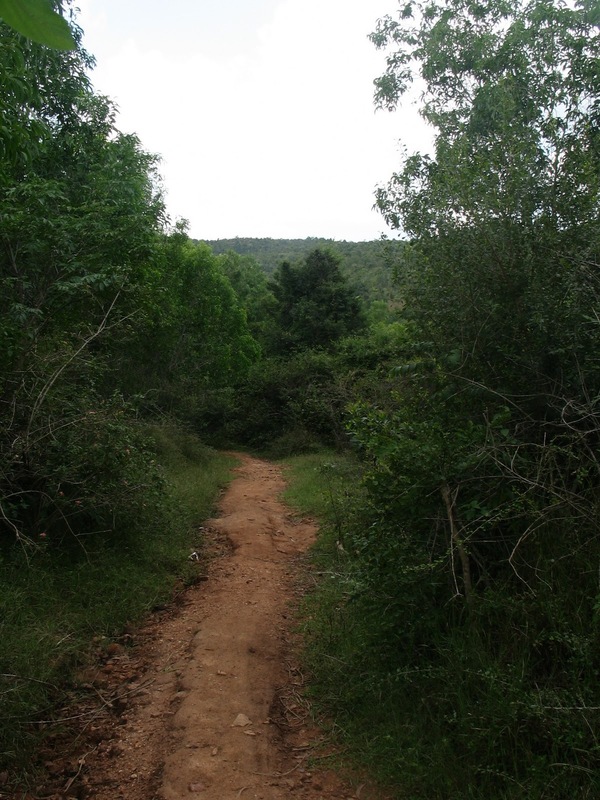 Distance from Bangalore : About 130 Kms , hereon 45 kms to the Sanctuary . 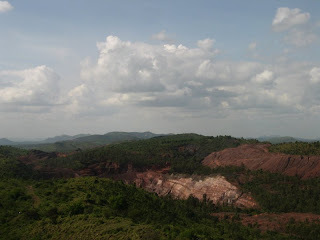 Trip Dates : 14,15 Nov 2009 . Places to visit nearby : K.G.F , Peacock Breeding Centre , Kaigal falls and many more . "Budanur", is a very familiar name for people travelling from Bangalore to Mysore. 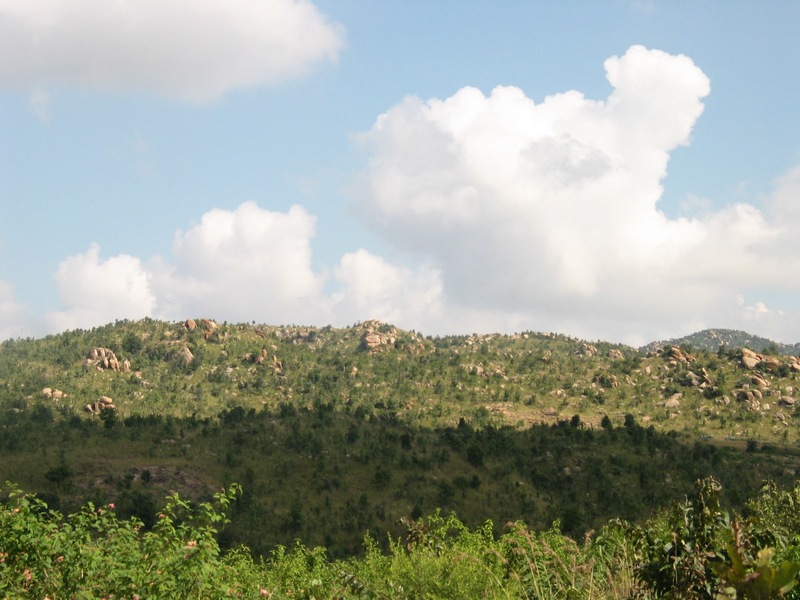 Though many are aware of the name of Budanur, very few people know about the hidden treasures in this place .Until recently, we did not know about Budanur, though we have crossed this place many a times. This time around, we went in search of this place particularly. 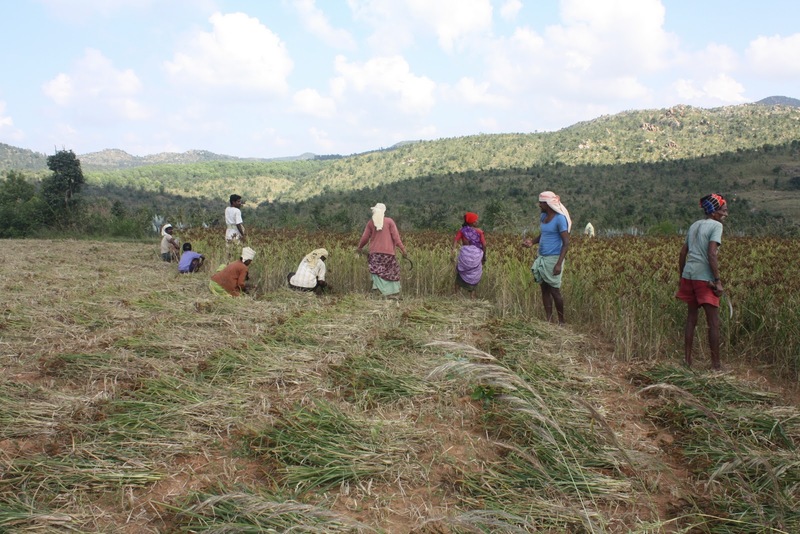 Erstwhile Budanur today is divided into two villages named 'Hosa Budanur' and 'Hale Budanur'. These villages are located in Mandya district. Hale Budanur is on the Bangalore - Mysore Highway and Hosa Budanur is about half a kilometer from the highway . 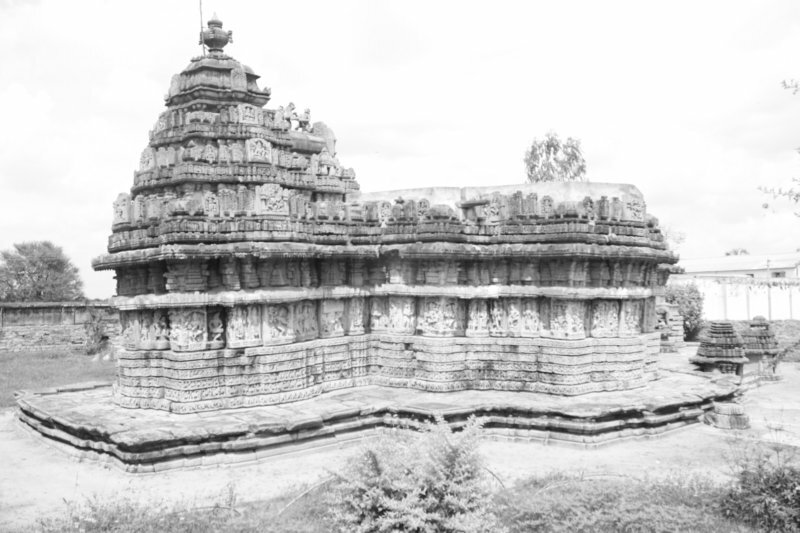 Hosa Budanur has two temples built by the kings of the Hoysala dynasty . 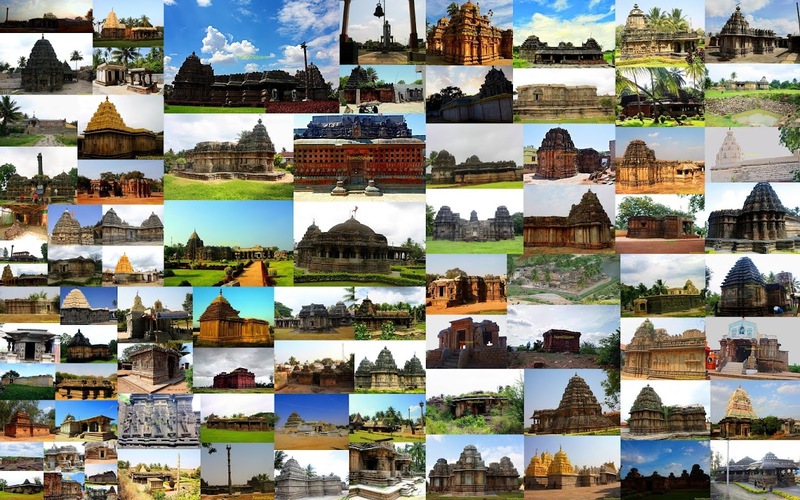 These temples are dedicated to 'Anantha Padmanabha' and 'Kasi Visveswara' . 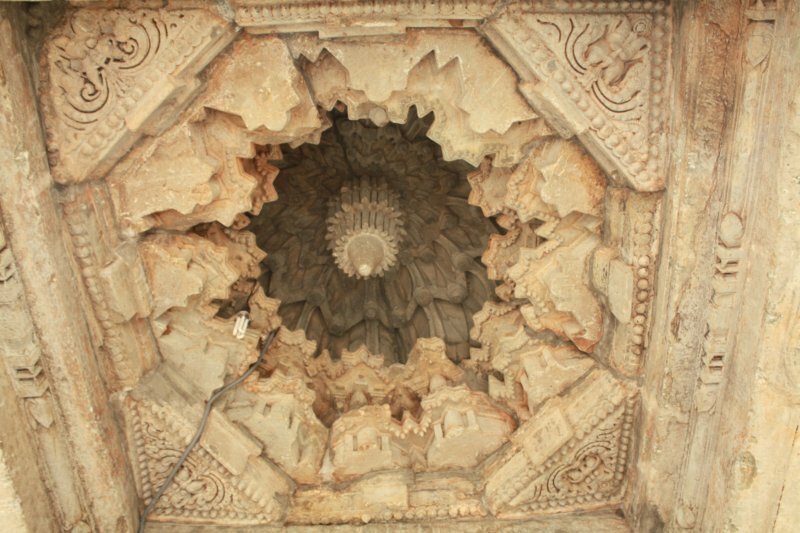 They were built around the 12-13 th century, during the reign of the Hoysala King Vira Ballala III . 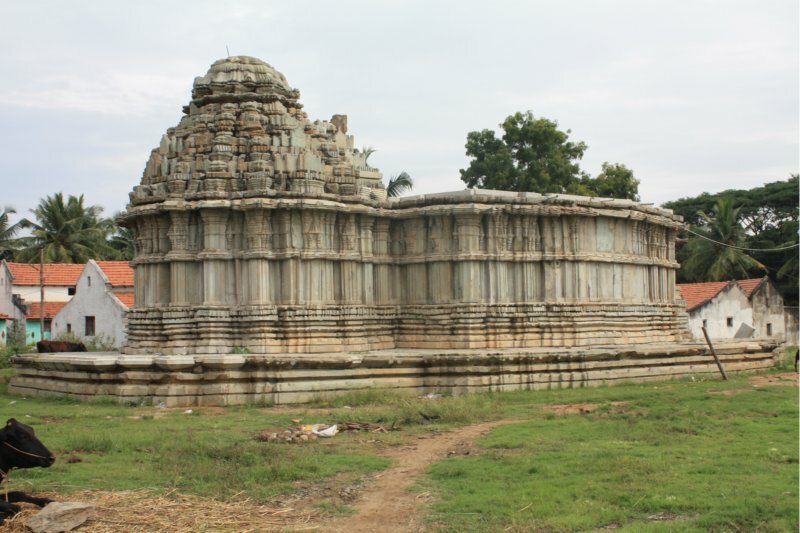 These temples have been renovated by the ASI to resemble the older structure. New stones have replaced the older missing stones. Other reconstruction works around are being carried out briskly. 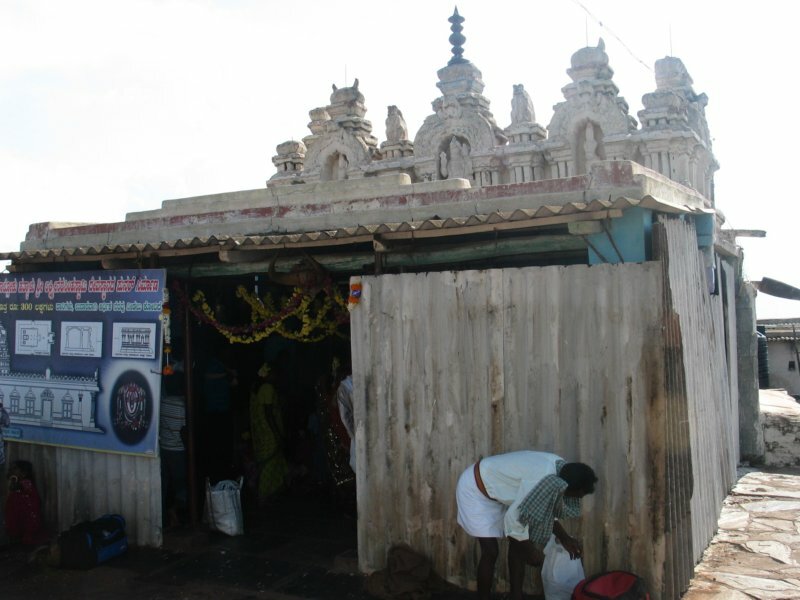 Both the temples are constructed on a multi angled raised platforms. Striking differences from many other Hoysala temples are the six pattikas which are simple and the absence of sculptures on the walls.The sculptures of both the deities are very grand and prove an excellent example of Hoysala art. 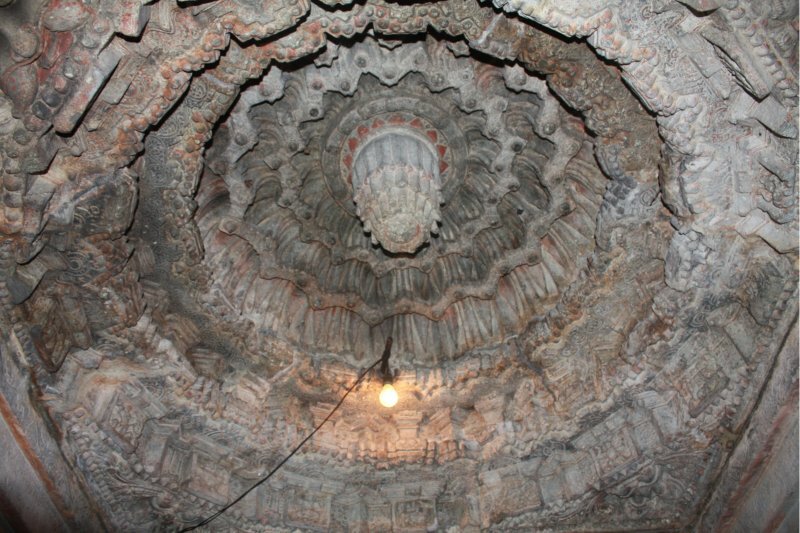 The pillars of these temples are similar and extensively decorated . 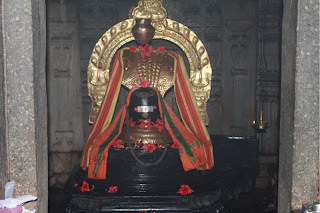 "Anantha Padmanabha temple" : This temple is dedicated to 'Lord Anantha Padmanabha' . The sculpture is in standing position , one of the rare forms of this god . He is holding a Chakra, Astabandha, Gada and Shanka.The door frames of the temple are heavily decorated . 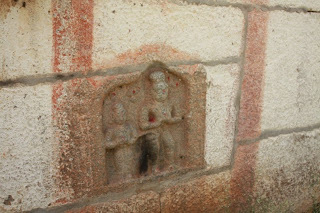 There are two small devakothas with sculptures of Ganapathy and Lakshmi. There is a inscription stone in the temple which is a very important source of information about the temple. There is a board put up by the Archeology and Museum Department of Karnataka, which provides some information about the temple. 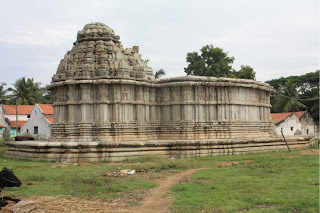 "Kasi Visveswara Temple": This temple is considered as 'Dakshina Kasi'. There is a big Nandi statue in front of the Linga . Though very less is known about this temple, it is considered to be built along with the Anantha Padmanabha temple .This temple resembles the other temple in most of the respects. This temple is having 4 devakothas which are currently empty. There are sculptures of Ganapathy and Shanmuga in the temple . The ceilings are heavily carved. 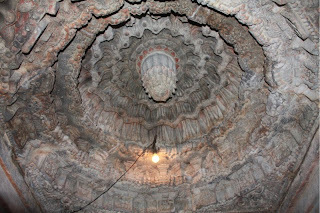 There is a sculpture of 'Sapthamatharikas' in the Kasi Visveswara temple, which is seen in many temples across India. 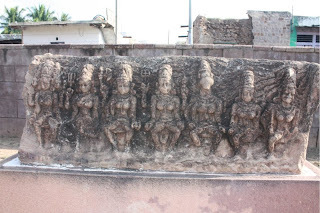 Sapthamatharikas represent the seven mothers who are mentioned specifically in the Rigvedas. The sculpture usually has nine figurines instead of seven. The first is of Goddess Parvathi (Lord Shiva's consort ) and the last is of Lord Ganapathy (Lord Shiva's Son). 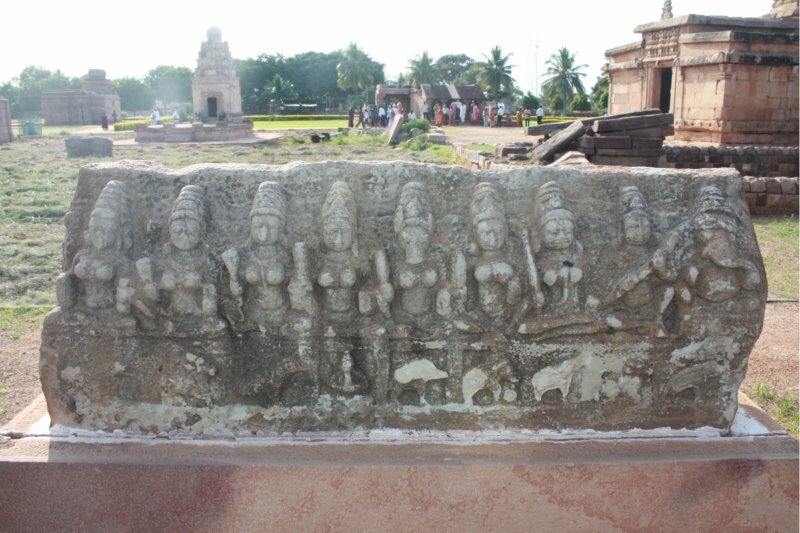 The other seven represent the motherly aspects of the great goddess (devi) and constitute the female counterparts of the gods Brahma (Brahmani), Maheshvara (Mahesvari), Kumara (Kaumari), Vishnu (Vaisnavi) , Varaha (Varahi), Indra (Indrani) and Yama (Chamunda). The mothers are armed with same weapons as their respective gods and also have the same mounts and banners. The number seven is especially sacred in India and is used to express indefinite plurality , Hence the seven divisions of the world , the seven sacred cities , rivers , etc . 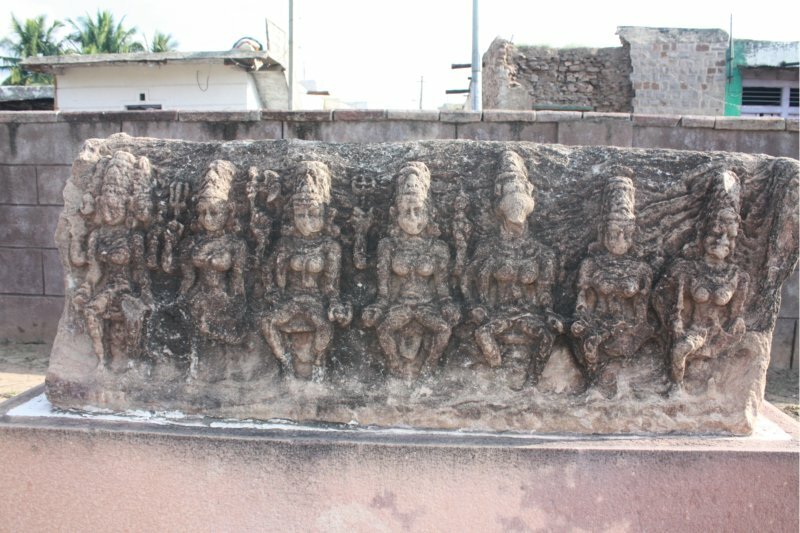 There are many Sapthamatharikas sculpture preserved in Aihole (Bagalkot District) museum . The keys to the temple remain with the concerned priest. 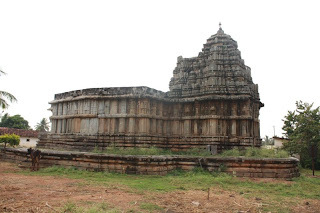 The priest of Anantha Padmanabha temple lives in the same village and is accessible any time during the day and the priest of Kasi Visveswara temple lives in the neighboring village of Hale Budanur . The latter comes in the morning to perform the daily pooja and rituals and returns back to his village, since his accommodation in this village is yet to be arranged. He can be contacted over phone (# 9611695091 , Name: Nanjappa ) and will take some time to reach the temple. Prior information to the priest is always appreciated . Luckily, we caught him during his routine timing , which according to him is 9:00 am. The former priest had considerable knowledge on Hoysala architecture and temples and was very interactive .Both the priests were visitor friendly . Directions from Bangalore : Via SH 17 Mysore road, Cross Hale Budanur- Take a right turn (Land mark Lemon Grass Restaurant) - Hosa Budanur . Place is being developed by ASI ,requires more maintenance and development. Trip Date : 28 Nov 2010. 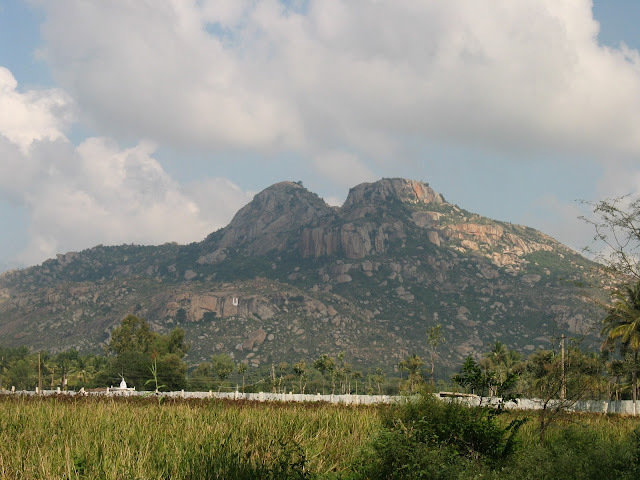 Places to visit near by : Mandya , Chikka Mandya, Basaralu , Srirangapatna , Tonnur Lake , Kokkere Belluru, Maddur , Ramanagara , many more. 1 Publications of Government of Karnataka on Mandya . 2 About Sapthamatharikas, from the book " The Illustrated Dictionary of Hindu Iconography" written by Margaret Stutley. The name 'Chikkaballapura's Jog' definitely sounds interesting and different . Chikkaballapura is one of the driest districts of Karnataka , with an annual rainfall average of about 750 mm (Karnataka's average is around 1250mm). "Jaramadagu Waterfalls" (locally called as Jog Falls), located in Chikkaballapura district is a seasonal , 2 tiered waterfalls. The rainfall in the hilly regions of Chikkaballapura valley ,flows and falls as Jaramadagu from a height of about 75-80 ft. We had different plans ,but then we thought it would be better if we visit this place , as rainfall over the last few days had been significant ,courtesy Cyclone "Jal ". 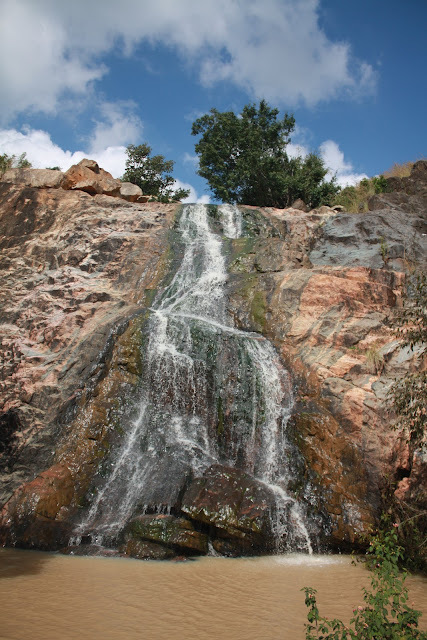 We gathered information about this place and thought it would be great to explore but the only question passing our minds were whether these rains were sufficient to see the falls. 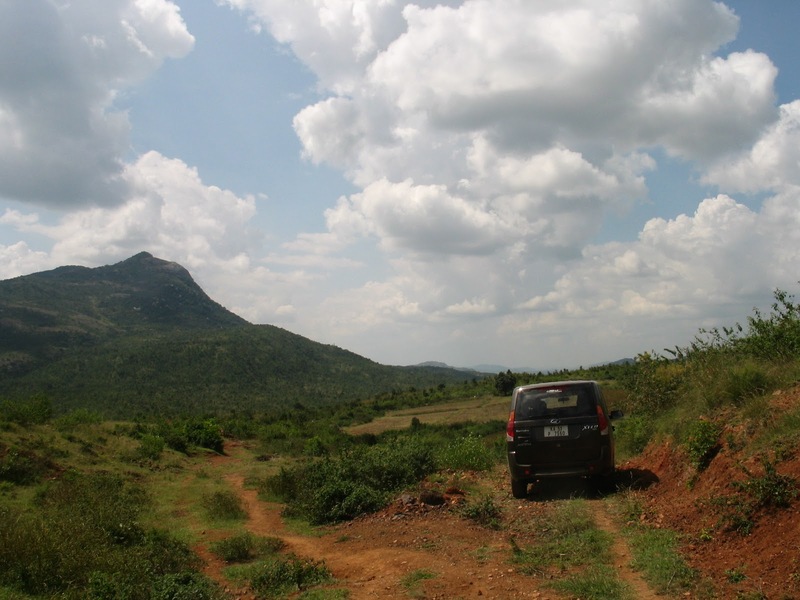 We reached the village of Jangamarappanahalli and drove until the last motorable point towards the waterfalls. 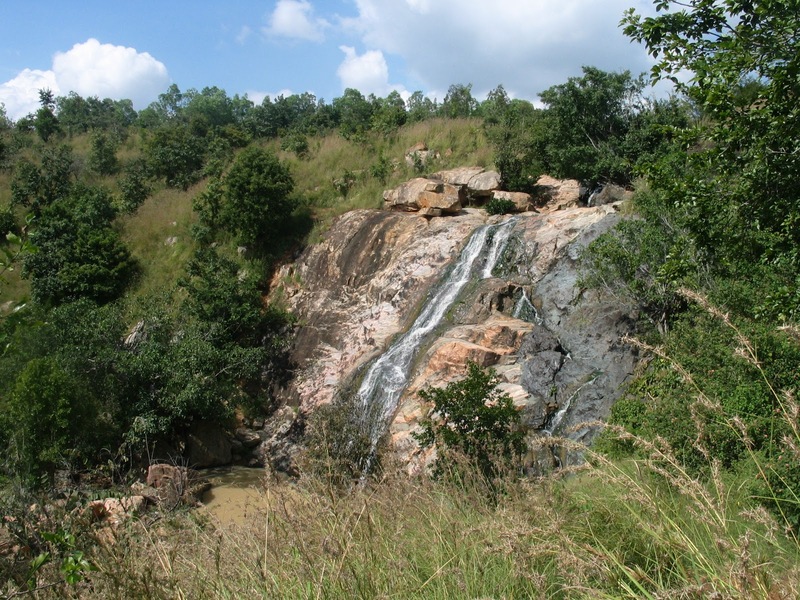 On inquiring, we found that there were 2 approach routes to the falls, the shorter (about 1 to 1.5 km) but a difficult one and the longer (about 3kms) but the easier one. We decided to take the shorter route . 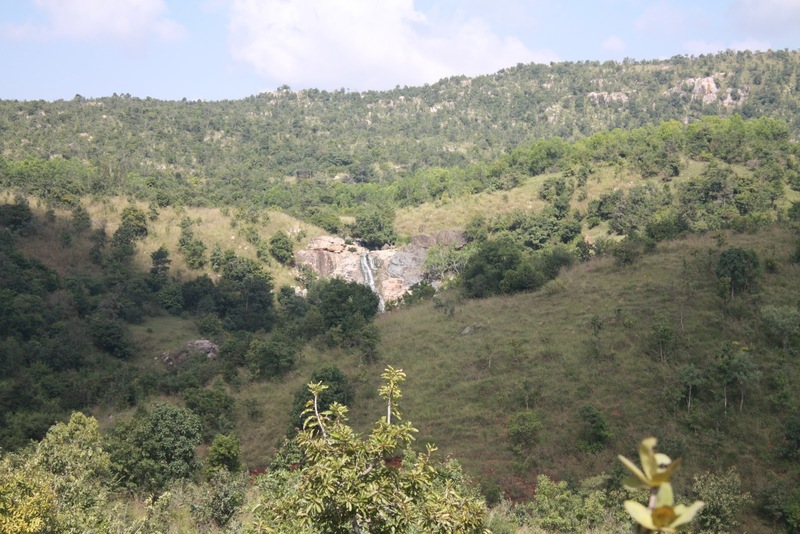 We started walking towards the waterfalls and the first sight of it was amazing . Initial walk was through fields of Ragi and horse gram.Locals working in the fields are quite helpful in giving directions and one person from their group volunteered to join us along as a guide. A few steps later, the path turned into a semi-forest kind of track . The guide enlightened us about this place in general and talked about the number of people visiting and their behavior.He mentioned about a place (he called it as a temple) nearby the falls, where people have been worshiping the god for many centuries. He went on to say that the temple is not a regular structure but an open place where a few dolls kept are worshiped .We imagined all along our way to the temple about how this place would be. Completely involved in listening to the guide, little did we realize we had actually reached the waterfalls .The guide bade us good bye from here. We had to walk down a little to reach the foot of the falls. Since we were the only ones present at that time, the whole atmosphere was peaceful and beautiful. 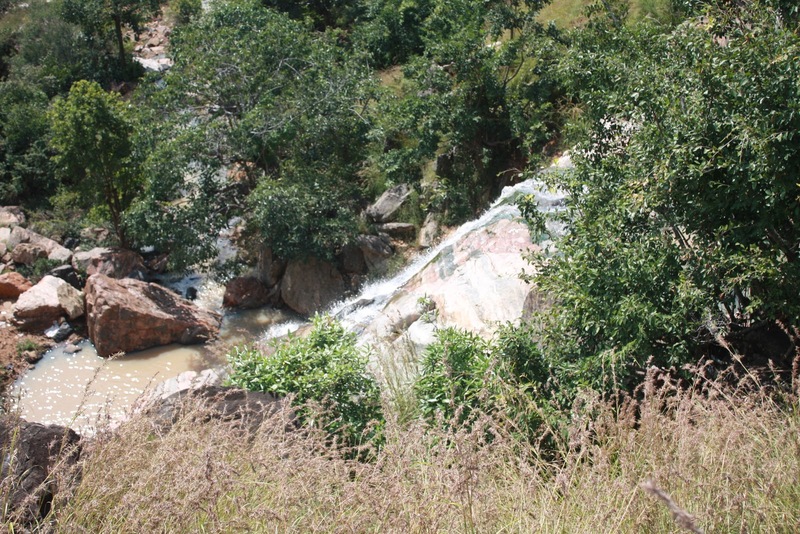 Though the water falls was not ferocious, we were lucky to at least see that little water falling. The view was gorgeous and the water was really cold . After enjoying the falls, we decided to explore the temple the guide had mentioned about . Unfortunately, we had forgotten to ask him the way to the temple when he bade us a good bye!We walked further wandering here and there to find out the way to the temple . Luckily, we spotted our guide who had stopped mid way to gather some wood. He was happy to join us and as we walked, he explained that nobody knows who kept these dolls, but people have been worshiping them for centuries. Now, the village people have decided to tar the roads leading to the the waterfalls and collect some revenue which could be used to build a temple here. The god worshiped here is "Paluvuraja Swami". 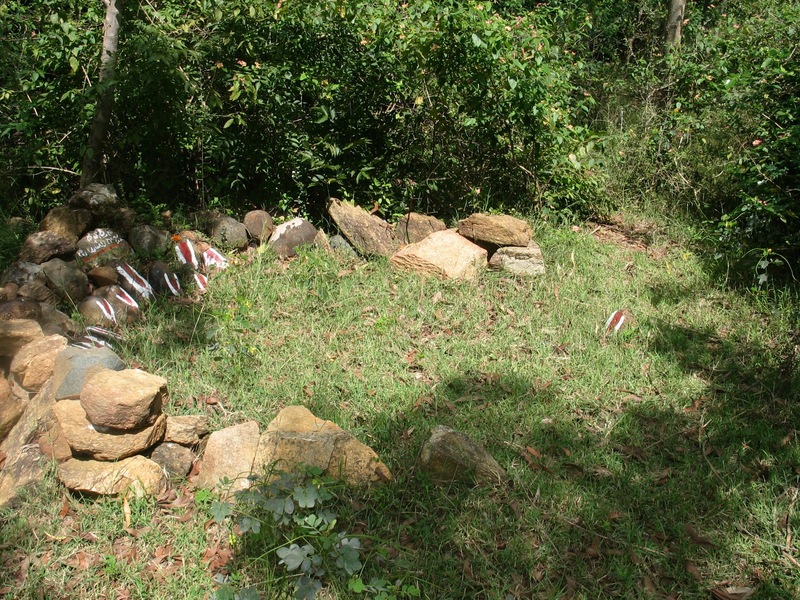 We were amazed to see that, what the guide called as dolls were (or rather looked like) lingas with naamas on them. He strongly told us that the god is very powerful and fulfills everyone's true and sincere wishes. Annually during Dussera, a Jatra is held here . Places nearby: Muddenahalli, Nandi hills , Skandagiri , Chikkaballapura , Nandi and many more . Fee: As of now, no entry fees. Word of Caution : Just ensure to visit the falls during the right season. It is advisable to reach the place early morning due the mad rush after 12pm during weekends. Languages spoken: Though this place is in Karnataka , most people around this place speak only Telugu.